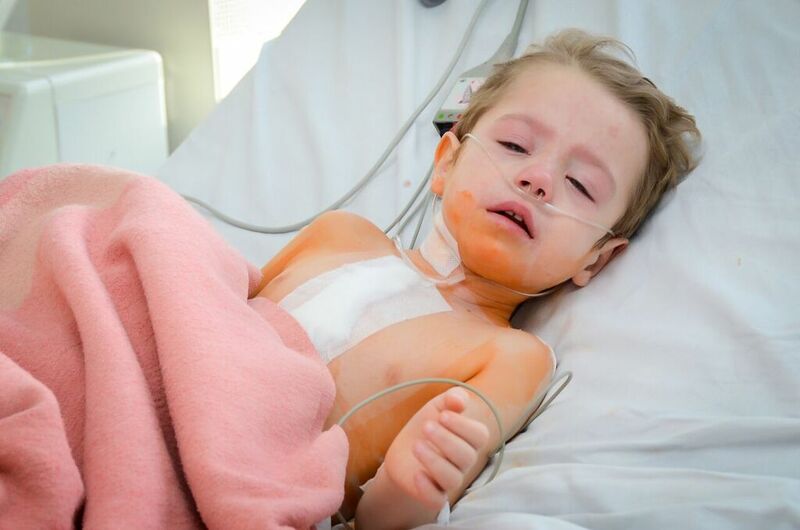 War refugee Artem received lifesaving open-heart surgery in December as part of our Flying Doctors Cardiac Mission. He has already made a strong recovery. The past year has seen great changes in Artems life, from a desolate orphan wandering a war torn country to having a fully functioning new heart and a new, safe, loving home. This is Artem’s story. In 2014 Artem and his brother were in an orphanage in the war torn region of Donetsk in Eastern Ukraine. Their mother died suddenly of a stroke and the boys were left destitute. Hungry, dirty, alone and unwanted they ended up in the quarantine infections department of an orphanage. While in the orphanage the boys listened daily to the explosions from the front line of the conflict, the boys heard the glass rattle in their room from the blasts and feared that the soldiers would come into the orphanage and take them away. The boys, however, were soon to receive the care and love of 31-year-old Tatiana – a kindergarten teacher who was hoping to adopt children. Following months of adoption procedures Artem and his brothers’ life were transformed when Tatiana and her husband got to bring them home. The simple act of washing the two boys, feeding them, clothing them and most importantly, showing them great love, changed their lives forever. The boys are truly blossoming now.